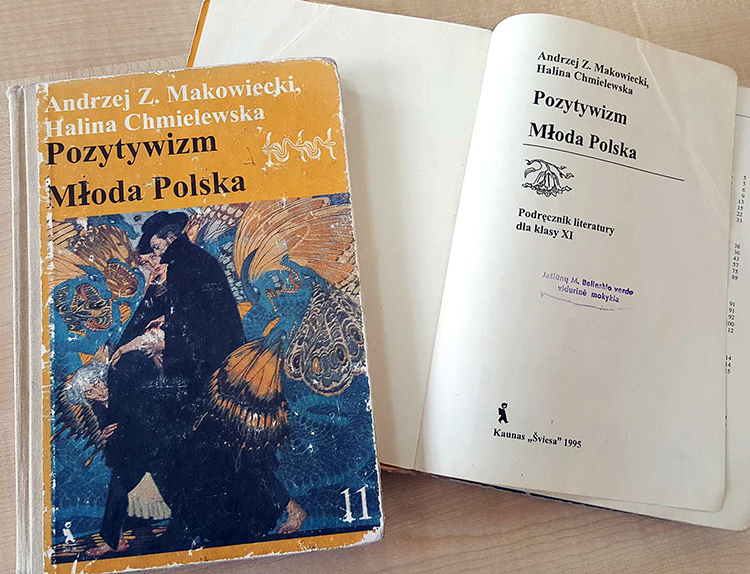 Textbooks to teach Polish language are sometimes older than students who use them. On March 7, another meeting was held regarding the possibility of preparing new textbooks for learning mother tongue in schools with Polish language of instruction. The conference was held at the Center for Education Development (Ugdymo plėtotės centras – UPC) at the Ministry of Education and Science of Lithuania, at the invitation of the deputy director of the center, Ričardas Totoraitis. The meeting was held with the participation of representatives of the Consular Section of the Polish Embassy, ​​Ministry of Education and Science of Lithuania, Lithuanian University of Educational Sciences, the Polish Language and Culture Centre, Association of Polish School Teachers in Lithuania “Macierz Szkolna”, Association of Polish Philologists, methodical circle of primary teachers of the city of Vilnius. – Polish school can not function without a textbook in Polish – said Józef Kwiatkowski, president of the Association of Polish School Teachers in Lithuania “Macierz Szkolna”. In the matter of textbooks for learning Polish, there has been a problem for a long time, constantly indicated by Polish philologists in Lithuania. Some textbooks for literary education come from 1995 or 1998, some have worn out physically, and there is a lack of themes consistent with the current curriculum. The last textbook for learning Polish language was released in 2012, meanwhile, textbooks must be updated every 6 years. – There are also textbooks for learning Polish in schools, but they need to be constantly renewed. Every 5-6 years curricula are renewed, meanwhile textbooks remain old – said Józef Kwiatkowski, president of “Macierz Szkolna”. – The problem does exist, the textbooks have worn out physically and “morally”. They have been published quite a long time ago, issuing the same is a problem because the curricula are being renewed, and the content of the textbook and programs have to be combined. According to the Ministry, new options and new possibilities should be sought. Opinion on this subject is not yet fully crystallized, therefore we commissioned further work for the Center for Education Development (Ugdymo plėtotės centras – UPC), which deals with the practical implementation of activities related to the content of teaching. It is about improving teachers’ qualifications, preparing methodological studies, including giving opinions on textbooks. UPC has experts who currently evaluate textbooks issued by Lithuanian publishing houses or individual authors – “Kurier Wileński” was informed by Ona Čepulėnienė, senior specialist in the Primary and Secondary Education Department at the Ministry of Education and Science. As she said, that during the meeting the possibility of using textbooks imported from Poland was discussed. But before that, it would have to be evaluated by the methodological councils of teachers, the Center for Polish Studies in LUE. The final assessment would depend on the opinion of MOiN experts. – For now, I can not reveal any details, because it is a precedent. A group of experts to evaluate textbooks from the Polish language (which will be imported) Has not been formalized yet, there have been preliminary meetings, but there is a positive attitude to the opinion and practical steps. I think the formula will be found – said Ona Čepulėnienė. As Józef Kwiatkowski mentioned, at the Wednesday’s meeting it was agreed that several copies of selected textbooks for learning Polish for primary, elementary and middle school would be brought back from Poland. They will be forwarded to the evaluation appointed by the Ministry of Defense in cooperation with the Education Development Center, experts – teachers – practitioners from schools and lecturers of the department of Polish Studies at the Lithuanian University of Education. After a thorough analysis of the textbook editions provided, it is planned to develop a supplement to the Polish textbook for each class, containing elements of patriotic and civic education from the curriculum for schools in Lithuania. – It is easier to write an addon to any manual than to create a separate manual. For each class, an average of 1 100-1 200 textbooks should be spent. Bringing them from Poland would be much cheaper than writing them, editing, publishing in Lithuania – said Józef Kwiatkowski.